Column & vertical slide: both guide ways are ground finished for high rigidity & z-axis accuracy. - Technically advanced designed of hydraulic power pack system is provided in the machine to make fully hydraulic cots grinding system. 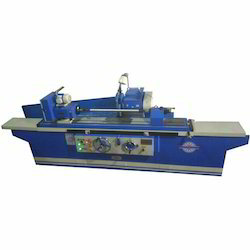 - Machine is working on "plunger grinding principle" Ring frame, speed frame top rollers are grinding on 200mm width grinding wheel on oscillating principle. 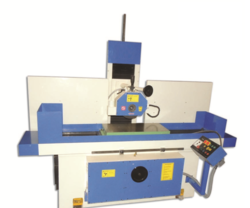 We Prayosha Enterprise has created a niche in offering Hydraulic Surface Grinder Machine to our clients. Offered range finds extensive application in grinding and has been manufactured by usage of high-grade material purchased from authenticated vendors. We are the prominent company that is engaged in offering high quality range of Hydraulic Cylinder Grinding Machine.